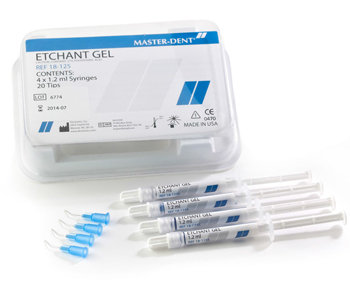 Master-Dent® Blue Gel Etch offers 37% phosphoric acid gel in various packaging options. Vivid blue for visual confirmation of application and rinsing. Luer lock tips are angled for easy access, offering better control. Copyright © 2016 www.dentonics.com. All Rights Reserved.